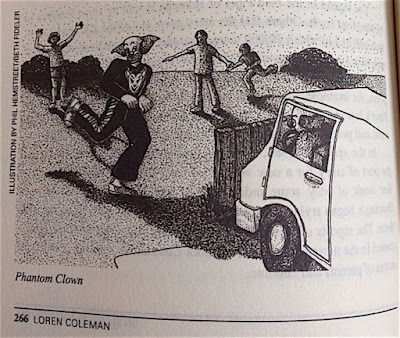 In 1981, I coined the phrase "Phantom Clowns" to describe the brightly colored costumed individuals, seemingly escapees from a circus, wearing exaggerated makeup and driving vans, who attempted to kidnap children. I first devoted an article about Phantom Clowns in Fate Magazine, during the early 1980s, and then expanded my thoughts on these reports in 1983's first edition of Mysterious America. 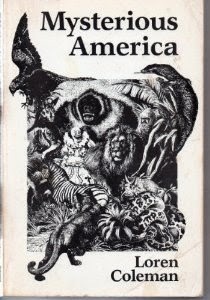 The 1983 edition of Mysterious America was published by Faber & Faber. In that book, I detail the United States of America's wave of shadowy 1981 sightings of clowns in vans who appeared to have tried to kidnap children, from Boston to Kansas City. It was years after I wrote about Phantom Clowns that Stephen King's IT was published, putting to rest that King's novel inspired the original Phantom Clown accounts. 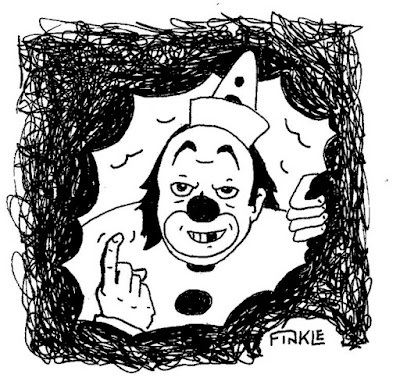 the phrase "Phantom Clowns" based on the 1981 wave. The encounters began in May of 1981, in Boston, Brookline, and other Massachusetts communities. By the end of the month, the local newspapers in Kansas City were publishing warnings about "Killer Clowns," said to be after children at bus stops there. 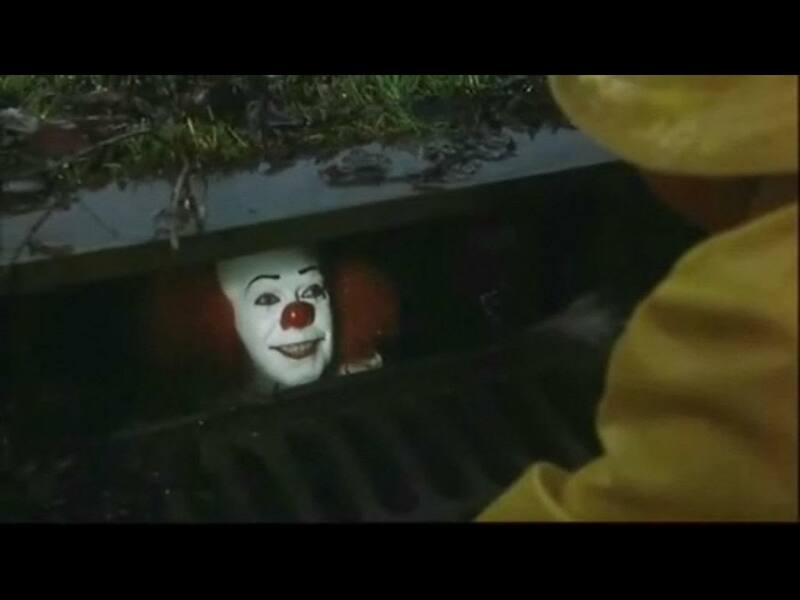 I coined the term "Phantom Clowns" to describe them because they were (are) seen but never caught. Sightings would come and go, and Phantom Clown encounters would continue. There has been a long history of Phantom Clown sightings since then, but 2008 seems significant because it was period of presidential campaigning. In 2008 reports coming from Chicago were tied to a Wicker Park, which has a symbolic name linked to New York City's Son of Sam killings of 1976-1977. In letters to the media, the "Son of Sam" serial killer signed himself as "The Wicked King Wicker" and allegedly shoot a Wicker Street German shepherd. In the October 2008 Illinois incidents, a man wearing clown make-up and a wig was using balloons in an attempt to lure children into his vehicle on the South Side of Chicago, Illinois. Police issued an alert about a week after a man with a similar description was spotted on the West Side. No one was every apprehended. During the election year of 2012, the clown phenomenon revealed itself via the Joker copycats. On July 20, 2012, the Dark Knight Shooting: 12 Dead, 58 Injured occurred. It happened in Colorado, at Aurora, forever broadcasting "Red Dawn" into our awareness. Theater goer killer James Holmes had a Bane mouth mask that covered a Joker facial makeup underneath. 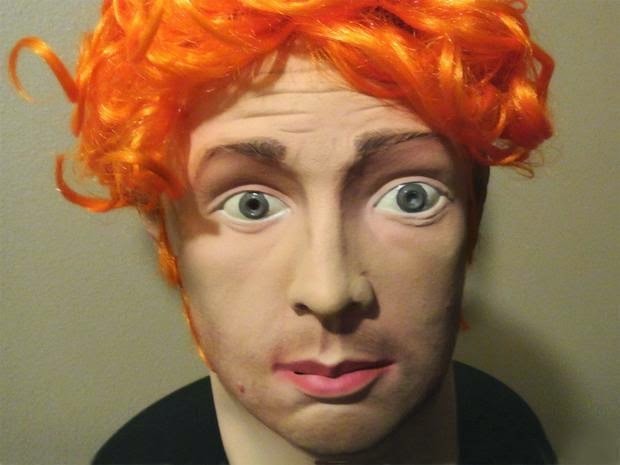 Even a James Holmes/Aurora Joker mask was marketed for Halloween 2012, briefly. It was seen to be in bad taste, but in many ways, it was a clown mask. Fast forward to 2016, and here we are in another presidential election year. The times have not been lost on a bit of online humor appearing in this year. And now new Phantom Clown reports are in evidence. But it wasn't a Phantom Clown (yet) that started appearing in Green Bay, Wisconsin, early in August. A mysterious clown that seemingly came out of someone’s warped sense of humor was spotted in Green Bay, according to photographs making the rounds of the social media. 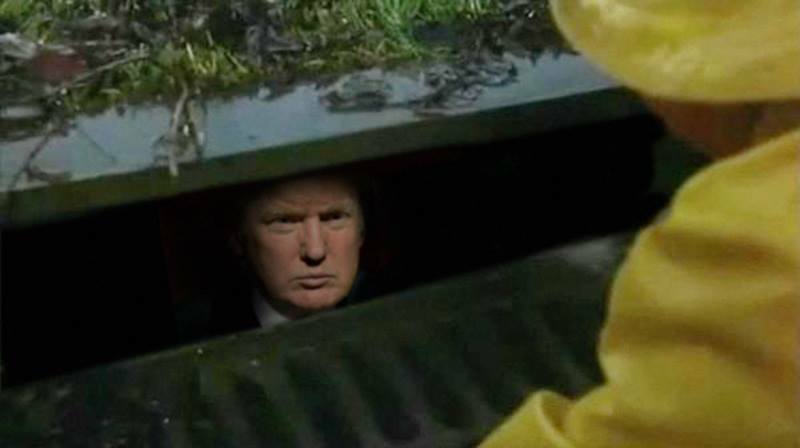 A Facebook page called “Gags – The Green Bay Clown” claimed the first sighting happened August 1, 2016, at 2:00 a.m. (h/t New Day). More recently the media headlines out of South Carolina tell of "clowns trying to lure kids into the woods." The actual woods, allegedly, according to CNN. 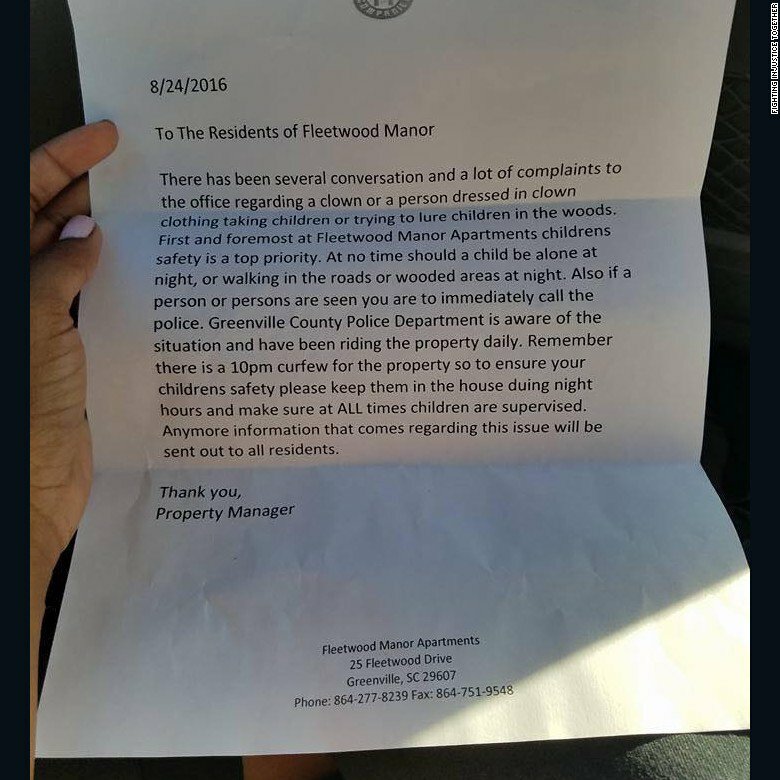 “There [have] been several [conversations] and a lot of complaints to the office regarding a clown or a person dressed in clown clothing talking to children or trying to lure children into the woods,” read a letter sent by the property management company which owns the Fleetwood Manor apartments in Greenville, South Carolina. News reports have been specific about the details of the encounters. Greenville County Sheriff’s Office spokesman Master Deputy Drew Pinciaro told BuzzFeed News that deputies received a call complaining about clowns being spotted in the woods behind the apartments on August 20, 2016. The caller did not want to leave their name, he said. But one woman did file a report with the sheriff’s office on Aug. 21 , explaining that two days earlier her son told her he had “seen clowns in the woods whispering and making strange noises,” read an incident report sent to BuzzFeed News with the woman’s name redacted. Donna and James Arnold, residents of Fleetwood Manor said it was their two sons, aged 10 and 13, who were involved. The kids said, "Mama, there’s clowns out there in the woods and they’re trying to get us to come out there. Some had chains, some had knives, and some were holding out money, saying, ‘Come here, we’ve got candy for you.'" But the parents report their sons wouldn’t go. "I thought my child was seeing things," resident Donna Arnold told CNN affiliate WHNS. "And then the next day I had about 30 kids come up to me and say, 'Did you see the clown in the woods?'" Monday night, August 29, 2016, deputies in South Carolina increased patrols after getting new reports of people dressed as clowns trying to lure children into the woods. 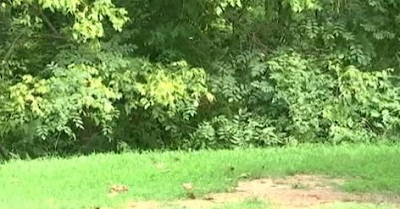 At 8:20 pm on August 29th, a family from Emerald Commons apartments, living about 20 minutes from the first site of the initial reports, said a child saw a man wearing a clown mask in woods near the complex. Deputies said there was a third report of someone dressed as a clown about 10:00 p.m. at Shemwood Apartments. A 12-year-old told deputies that two clowns were in the backyard area, according to the Associated Press. Greenville Police received a call from a concerned parent at 3:40 p.m. Wednesday, August 31, 2016, about another clown sighting. Source. The caller said their daughter was walking home from Hughes Academy when she saw a clown in the woods. They said it happened between Pleasant Valley and Hughes Middle School. Police said they searched the area and didn’t find anything. They say they are stepping up patrols. This is the fourth sighting. Many, many people contacted me with news of this newest Phantom Clown story. Thanks especially to Andy Finkle, Robin Swope, SJ Riedhead, Enki King, Burt Gummerfan, Ben Redford, Charles Crowley (h/t on reminding about Wicker Park), and everyone I forgot. What is the connection with election years? Very puzzling. Thanks as always, Loren. Creepy cos-play for age-regressed adults. IMO, malicious clowns are the sadistic counterpart to the saccharine sweet living Disney Princesses. Is this our collective fantasy world appearing in the collective objective reality? Or is it an intentional blurring of the border between the real and unreal? The clown that may have inspired 'evil' clowns comes from the behaviour of JSGrimaldi, the son of Joey Grimaldi who donned the first clown suit and clown makeup. JS was alcoholic and suffered from mental problems, got into fights etc. Charles Dickens was affected by the death of JS and wrote him in as a cameo in 'The Stroller's Tale', one of the instalments of 'The Posthumous Papers of the Pickwick Club'. The character's name was 'Dismal Jemmy', 'enfeebled by dissipation and emaciated by disease'. In the book The Pantomime Life of Joseph Grimaldi, the author, Andrew Stott, writes"Dickens invented the scary clown, the menacing predator pushing pleasure beyond its tipping point and curdling into something more twisted and sinister. In this respect JS is with us even to this day'. With multi media mentions, me thinks its an intentional trigger. I was going to mention to you the thing with the vans and kidnapping kids. There is a history of abductions of African American children in Greenville, usually girls from about 10 - 13, on bicycles. It happens every few years. I've been following the story since the late 1970s. I suspect that is why the authorities took the report so seriously. 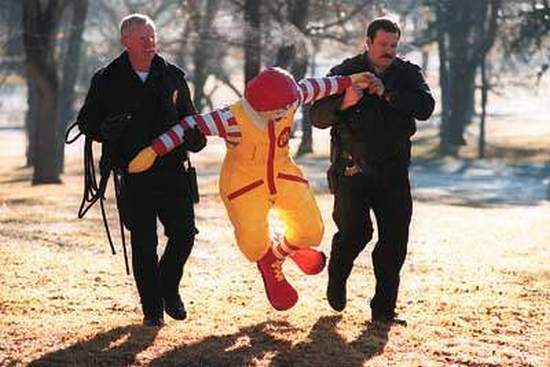 I think John Wayne Gacy's Pogo the clown added to the fear with his activities in the midwest. He's become a part of the American mythos. This sighting interests me the most, largely due to its anomaly. A group, not a single one, carrying green laser pointers, who run at the appearance of a single adult? This incident seems to have been a bunch of delinquents on a prank. First thing I'd do is ask local vendors if anyone sells green laser pointers, and if so, had they sold many lately and to who. (I know, Amazon. But you have to cover the bases) Also, any groups of Insane Clown Posse fans at the local high school? Eliminate (or confirm) the mundane before proceeding into the mist. I run a local Small Business and I have drivers out at all hours of the night. These kinds of pranks are dangerous for anyone involved. My drivers deal with all sorts of crazy situations and would react very defensively if directly confronted by something like this. Who Watches The Suicide Squad?